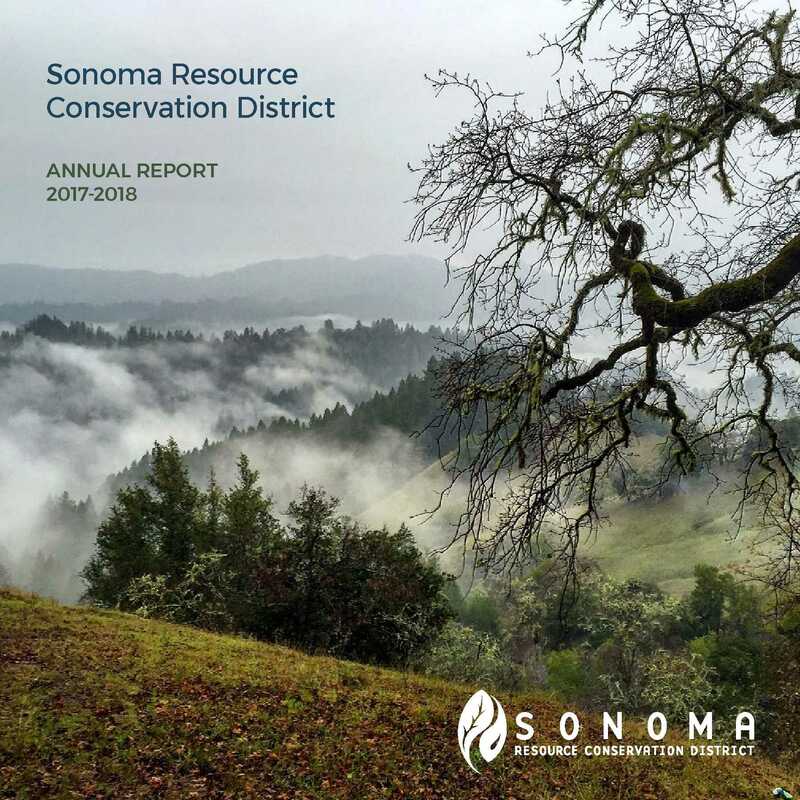 The RCD’s 2017-2018 annual report highlights our conservation efforts throughout our district over the last year. As October 2017, put our community and team to the test there is a special section devoted to fire recovery and resiliency. We’re excited to share with you stories from our water resources, education, planning and on-the-ground programs, among other innovative highlights and partnerships which address our communities most pressing natural resource concerns. Thank you to all those who have partnered and supported the RCD over the last seven decades. 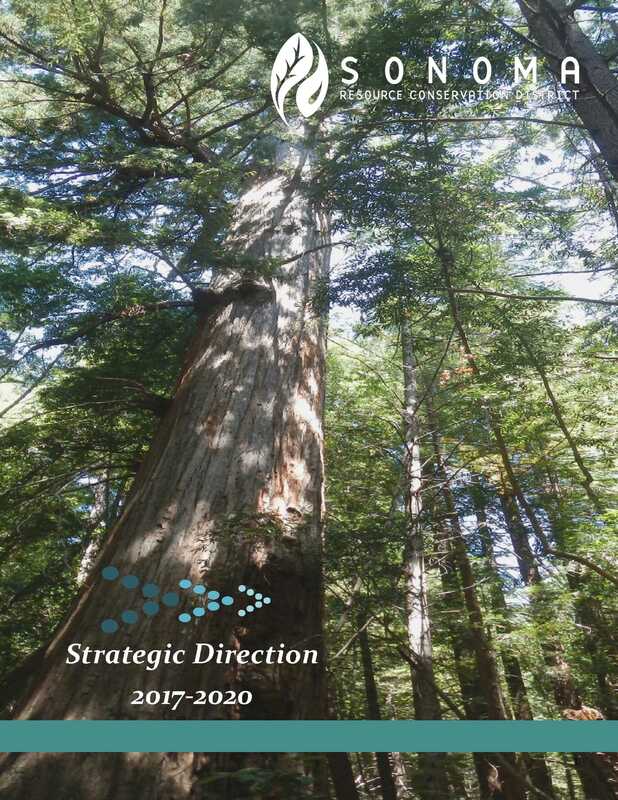 In August 2018, after reviewing progress on our Strategic Goals, along with new priorities in light of the previous year’s events, the RCD Board voted to add another Strategic Goal (Goal #2) to this document. We are so grateful to the partners who participated in this strategic planning process. Dozens of you dedicated your time and wisdom to conversations with our team during this process, and from these conversations we gained new insight into our community, its natural resource needs, and the RCD itself. (cont.) Read the rest of the opening letter from our Executive Director, Valerie Quinto and review our strategic goals for the coming years. 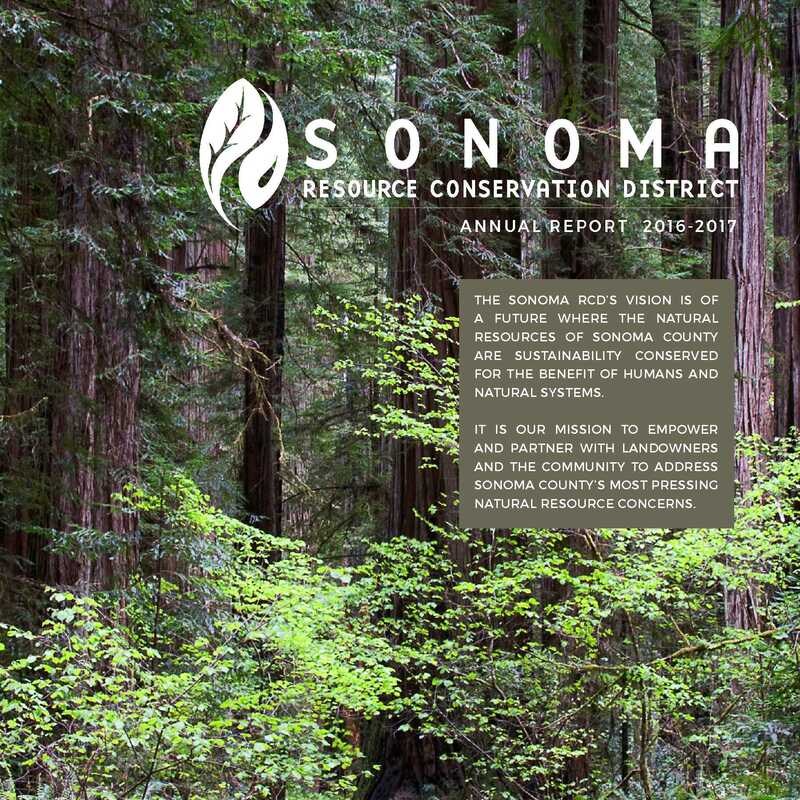 The RCD’s 2016-2017 annual report highlights our conservation efforts throughout our district over the last year. We’re excited to share with you stories from our water resources, education, planning and on-the-ground programs, among other innovative highlights and partnerships which address our communities most pressing natural resource concerns. Thank you to all those who have partnered with the RCD over the last 70 years. The RCD’s 2014-2015 biennial report highlights our conservation efforts throughout our district over the last two years, including successes in fish and wildlife habitat improvement, farm and ranch planning, water conservation, education programs, exciting new collaborations, and much more! The RCD’s simple one page guide for landowners on permits needed for a variety of conservation projects. 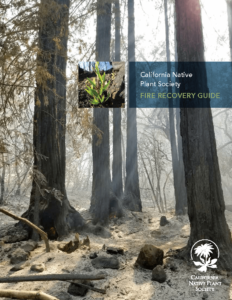 The CNPS Fire Recovery Guide addresses that question in an easy-to-use booklet, created in response to the widespread Wine Country fires. The Guide is a collaborative effort between CNPS, North Bay partner organizations, and some of the best fire experts in the state. 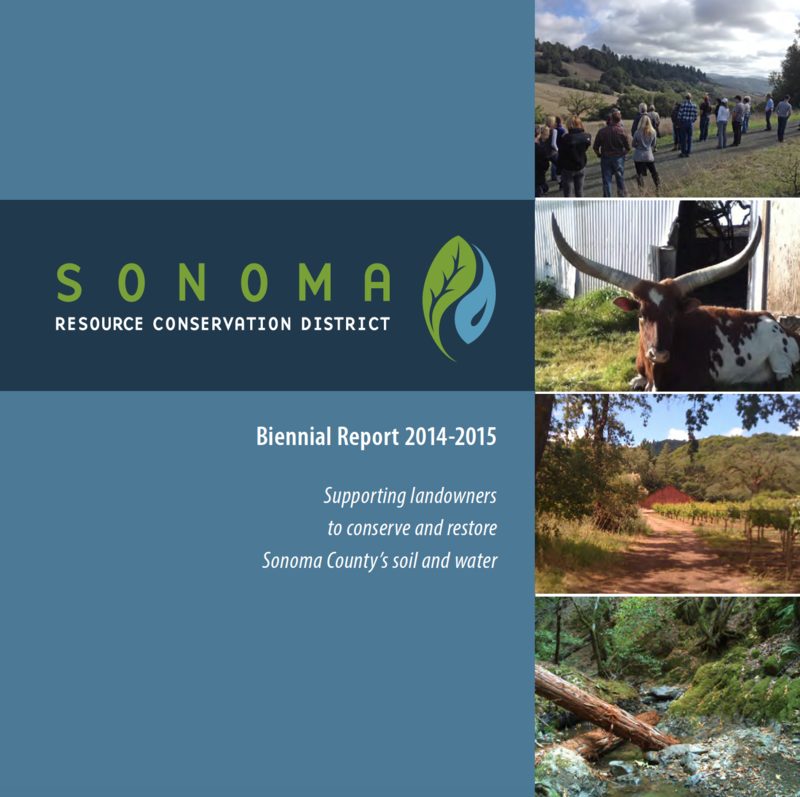 The Sonoma County RCD’s have assembled a single reference guide for all services tailored to local vineyard operations. Slow it. Spread it. Sink it. Store it! S4 is now available in a brochure! 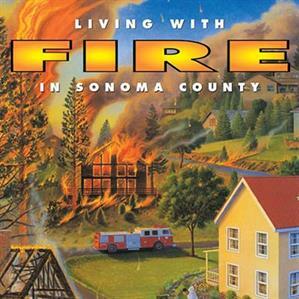 This manual has been developed for educational purposes by the Sonoma RCD and the Resource Conservation District of Santa Cruz County. The Slow it. Spread it. Sink it. Store it! Guidebook (S4 Guide for short) provides straightforward best management practices that can help to protect and replenish surface water and groundwater resources, offset groundwater use, reduce erosion and pollution, while providing many other benefits.The storm water runoff improvement practices included in this guide are meant to be used as general guidelines and are not to be used as professional engineered specifications. Traditional building and landscaping practices were designed to dispose of stormwater as quickly as possible. This outdated paradigm typically results in significant damage to land, structures, and the surrounding environment. 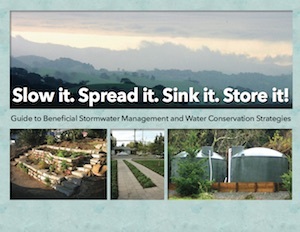 Slowing down, spreading and sinking stormwater can help protect your property & increase its value, provide a free source of water for irrigation, conserve drinking water, beautify your landscape, promote groundwater recharge and much more! An extensive resource guide to help readers quickly locate key information and get started! Condensed information on rainwater catchment techniques and practices from the “Slow it. Spread it. Sink it. Store it!” Guide. 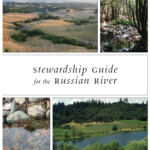 This guide, created by the Sonoma, Gold Ridge, and Mendocino County RCDs, provides an overview of the diverse Russian River Watershed, and offers a host of resources to assist with stewardship of creek-side properties throughout the Watershed. 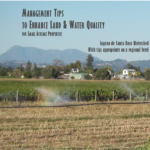 The RCD’s guide includes Best Management Practices for landowners and managers of small acreage properties in the Laguna de Santa Rosa watershed. 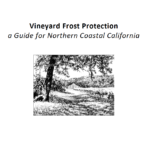 This RCD and NRCS publication provides a variety of frost protection alternatives available to north coast grape growers. 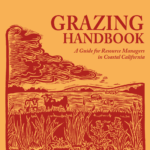 The Grazing Handbook is for public agency personnel and private landowners who may be interested in exploring the use of livestock grazing to further their resource management goals. 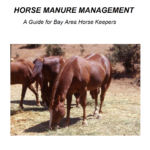 These resource guides on best management practices for outdoor hog production in the San Francisco Bay Area are downloadable from the Alameda County Resource Conservation District and USDA NRCS website. The Equine Facilities Assistance Program’s goal is to protect San Francisco Bay Area water resources by assisting in effective management of possible non-point source pollutants associated with horses. 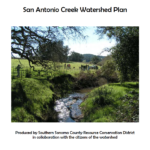 These informational documents are part of a series prepared and published by the Council of Bay Area Resource Conservation Districts in cooperation with the USDA, Natural Resources Conservation Service and the University of California Cooperative Extension. 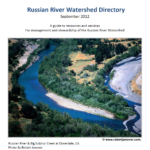 The RCD’s guide to resources and services for management and stewardship of the Russian River watershed. Portions of Schellville and surrounding areas, in southern Sonoma County are frequently flooded during relatively small winter storm events that cause flows to overtop the banks of Sonoma and Schell Creeks. Recurrent flooding has caused economic loss and considerable damage to private property and roadways. This publication identifies and evaluates opportunities to address flooding issues and ecosystem enhancement. 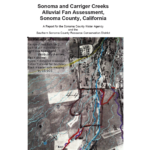 The purpose of this assessment was to analyze the current mainstem channel conditions, causes of channel avulsion and instability, and to identify potential sites of future concern along Carriger and Sonoma Creeks on their alluvial fans. This project has been funded wholly or in part by the United States Environmental Protection Agency under assistance agreement 99T34001 to Sonoma RCD. 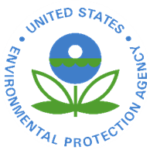 The contents of this document do not necessarily reflect the views and policies of the Environmental Protection Agency, nor does the EPA endorse trade names or recommend the use of commercial products mentioned in this document. The overall purpose of the Watershed Enhancement Plan is to identify ways in which to protect, conserve, and enhance the watershed. The draft watershed plan goals that are listed here are an expansion of the 1998 plan goals. Water Quality Credit Trading is an innovative approach to achieve water quality goals and regulatory requirements by the purchase of pollution reduction “credits” from other sources, including water quality management practices on agricultural lands. The RCD, in collaboration with consultants, partners and local agricultural landowners, is working on the development of this first trading market in California in the Laguna de Santa Rosa Watershed. In the program, agriculture provides nutrient credits through implemented conservation practices for a wastewater treatment plant buyer and will serve as a template transferable to other watersheds in California. Austin Creek is a major tributary to the Russian River. 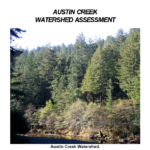 This watershed assessment reviews erosion sources in the watershed, the current and historic condition of the creek channel and watershed, the extent of riparian forest, water quality and temperature conditions, and land uses. 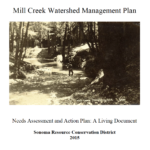 The goal of the watershed assessment is to investigate a broad range of current and historic conditions in the watershed and creek and recommend enhancement projects and Best Management Practices (BMPs) to improve water quality and creek habitat conditions. Copeland Creek is a small tributary in the southeastern corner of the Russian River watershed. The City of Rohnert Park occupies the downstream half of the drainage where the creek is primarily a straightened flood control channel. Copeland Creek is a tributary of the Laguna de Santa Rosa. The upstream half of the watershed is rural and the creek is a natural channel. 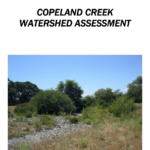 This watershed assessment reviews erosion sources in the watershed, the current and historic condition of the creek channel and watershed, the extent of riparian forest, water quality and temperature conditions, and land uses. The goal of the watershed assessment is to investigate a broad range of current and historic conditions in the watershed and creek and recommend enhancement projects and Best Management Practices (BMPs) to improve water quality and creek habitat conditions. 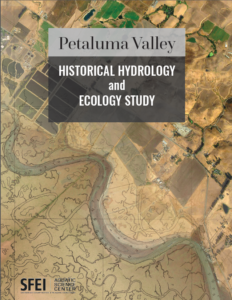 Mill Creek watershed is located within the Russian River watershed Hydrologic Unit and the Warm Springs Hydrologic Sub-Basin as classified by Cal-Watershed 2.2a. The Warm Springs sub-basin runs along the western edge of the Russian River basin in Sonoma County and contains the vast expanse of the Dry Creek watershed and Lake Sonoma, which now occupies the majority of the sub-basin watershed. This sub-basin is named after Warm Springs Dam, constructed in 1982, which impounds Lake Sonoma. 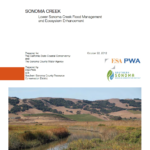 Primary ownership throughout the sub-basin is private, although USACE owns and manages Lake Sonoma. 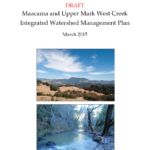 The Maacama and Upper Mark West watersheds are located in central Sonoma County approximately 60 miles north of San Francisco and lie to the east of the Highway 101 corridor. Both the Maacama and Upper Mark West watersheds are bordered by the Mayacamas mountain range and the Napa County line to the east. The Maacama Watershed is bordered by Alexander Valley to the northwest and the Upper Mark West watershed to the south, followed by the Laguna de Santa Rosa watershed. These watersheds are located east of the cities of Santa Rosa, Windsor, and Healdsburg.